YANGON, Myanmar -- Myanmar's minority Rohingya Muslims are among the most persecuted people on earth, and advocates of their cause were hoping President Obama would not only press the issue during his visit this week - they were hoping he would simply say their name. Myanmar's government views the estimated 1.3 million Rohingya - living in dire, segregated conditions in western Rakhine state - not as citizens, but as illegal migrants from Bangladesh encroaching on scarce land. For that reason, they say the Rohingya ethnicity does not exist. In a bid to draw attention to the issue, the U.S. advocacy group United to End Genocide launched a social media campaign titled #JustSayTheirName, and thousands of people have signed an online petition and tweeted photos of themselves holding placards with the slogan on social media. During a private meeting with President Thein Sein on Thursday which focused largely on the Rohingya's plight and a need for constitutional reforms ahead of 2015 elections, Obama used the word "Rohingya" multiple times and did so purposefully, according to a senior U.S. official who spoke only on condition of anonymity because the official was not authorized to comment by name. Notably, Obama chose to hold his news conference in Myanmar on Friday with Aung San Suu Kyi, the face of Myanmar's mixed evolution away from autocratic rule, instead of the night before with Thein Sein. Obama mounted a warm show of support for Suu Kyi, voicing opposition to a constitutional rule that's keeping the pro-democracy icon off next year's ballot. While crediting Myanmar for progress in its transition to democracy, he offered a blunt assessment of the distressing shortcomings that have called that transition into question. Left unaddressed by Obama during his two days in Myanmar was growing skepticism about whether Suu Kyi, his fellow Nobel Peace Prize laureate, is willing to fight as vigorously for human rights and tolerance as she is for democratic reforms. The U.S. has deep concerns about the abuse of the Rohingyas, but Suu Kyi has resisted calls to speak out on their behalf. "If you ask how do we propose to resolve all these problems of violence between communities, between ethnic groups, we've got to start with rule of law," Suu Kyi said, speaking in general terms. "People who feel threatened are not going to sit down and sort out their problems." Obama did use the term "Rohingya" and said discrimination against them wasn't consistent with the kind of country Myanmar wants to become. "Ultimately that is destabilizing to a democracy," he said. 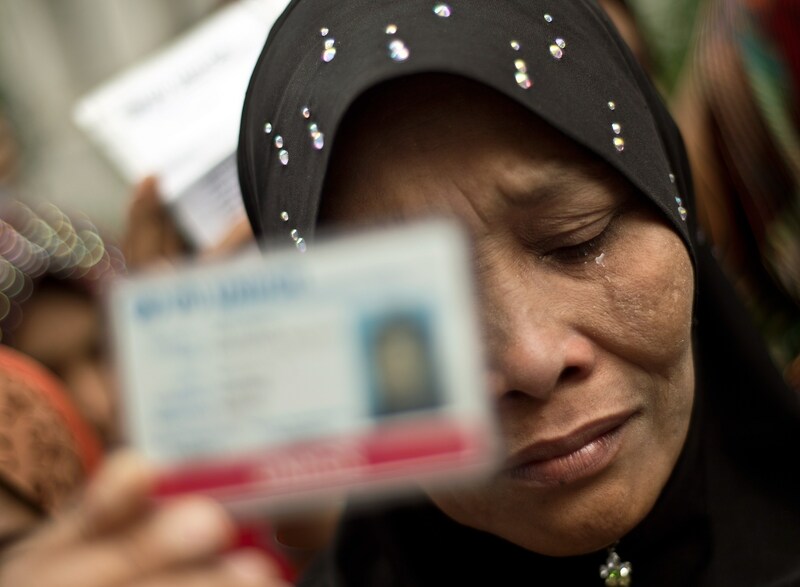 Human rights groups say the Rohingya comprise one of the world's largest stateless groups. Over the past two years, their plight has deteriorated markedly, with 140,000 trapped in crowded, unsanitary camps and more than 100,000 more fleeing as refugees in flimsy boats. Hundreds have been killed in mob attacks, and an unknown number have died at sea. Although many Rohingya arrived in Myanmar generations ago, the government and most residents of Rakhine state insist they are ethnic Bengalis from Bangladesh - which also denies them citizenship. In Myanmar, neither 'Rohingya' nor 'Bengali' are counted as one of the 135 officially recognized ethnic groups. Since the start of this year, Myanmar's government has stepped up pressure on foreign officials not to use the word "Rohingya," and United Nations officials say they avoid the term in public to avoid stirring tensions between Muslims and the country's Buddhist majority. On Thursday, however, U.N. Secretary-General Ban Ki-moon called on Thein Sein to address citizenship concerns for the Rohingya community. Ban's use of the word drew a harsh rebuke from Maung Maung Ohn, the chief minister of Rakhine state, who said in a statement that the term fosters distrust and furthers the "divide between the (ethnic) Rakhine and Bengali populations."